It’s hard to stay in touch with students. When you can’t reach students with the information they exactly need, there is a serious financial impact. 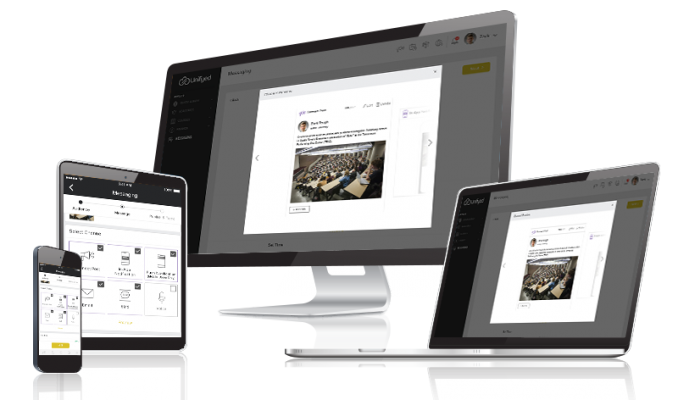 With Unifyed Messaging higher education institutions harness the power of messaging to drive better results and outcomes. 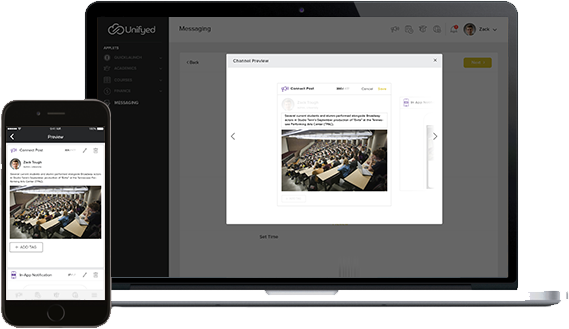 The dynamic new Targeted Messaging feature from Unifyed enables you to send highly targeted messages, schedule messages in advance, assign Authoring and Approval permissions across your institution, and more. 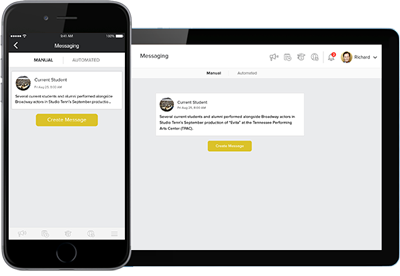 Send messages based on roles and locations. 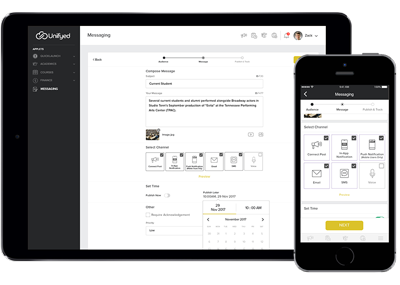 Take your communication to next level by creating message channels defining user attributes such as past bills, low attendance etc. 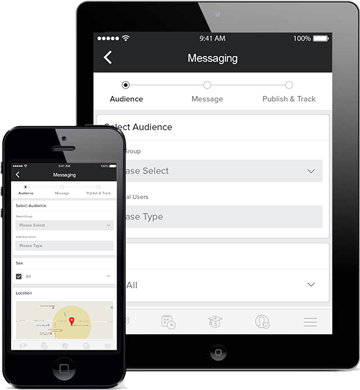 Use our dashboard to take complete control of your messaging channel. 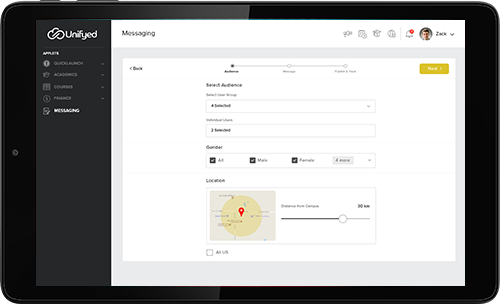 Schedule messages by defining time, when they expire and how long they stay there.